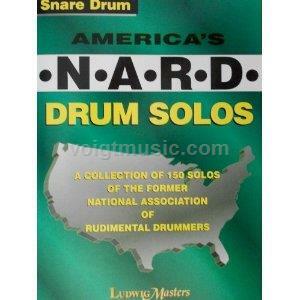 This book has 150 short solos written by members of the National Association of Rudimental Drummers (NARD), including rudimental greats Frank Arsenault, William F. Ludwig, J. Burns Moore, George L. Stone, and Earl Sturtze. Several duets are thrown in, as well as a page of six 8 bar beats written by Dr. F.R. Berger using the Basle notation. This book should be part of every rudimental drummer's library, in part for the historical value, but mostly for improving one's style and technique.